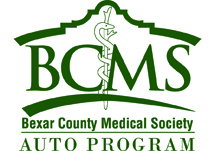 Compare the "Traditional way" to buy a vehicle with the "BCMS Auto Program way"
Decide you need a new vehicle. Frustrated? There must be a better way! Be careful when shopping online for pre-owned vehicles. It is harder to inspect and evaluate a vehicle. Can add extra expense to use an inspection service. Our participating dealers are all "Franchise Dealers" and they do not sell flood damaged, rebuilt title or sub-standard vehicles. Call the Auto Program for your next used vehicle!